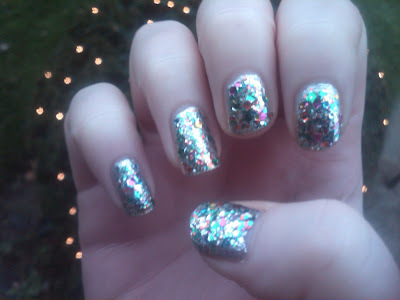 When I purchased this polish a couple months back, I knew that it would be perfect for New Year's Eve! It literally looks like an explosion of confetti on my nails. 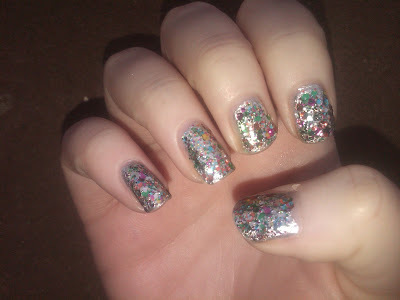 I first put down a couple coats of metallic silver polish (LA Colors Color Craze in Live) and waited for it to dry. I then put 2-3 coats of Rainbow Connection on top and sealed it with Seche Vite. From a distance, it reminds me a bit of a stained glass window. I absolutely love it! I think this look would also be fun for birthday parties, Vegas, a trip to the circus (random) or anywhere that's a bit on the wild side. If you like to have fun with your nails and want to try something a step beyond a standard glitter, I highly recommend trying this out! Those who are into manicures know the difference between the kind of glitter that's used in polish and the kind that's found inside a craft store. OPI's Rainbow Connection is the exception. 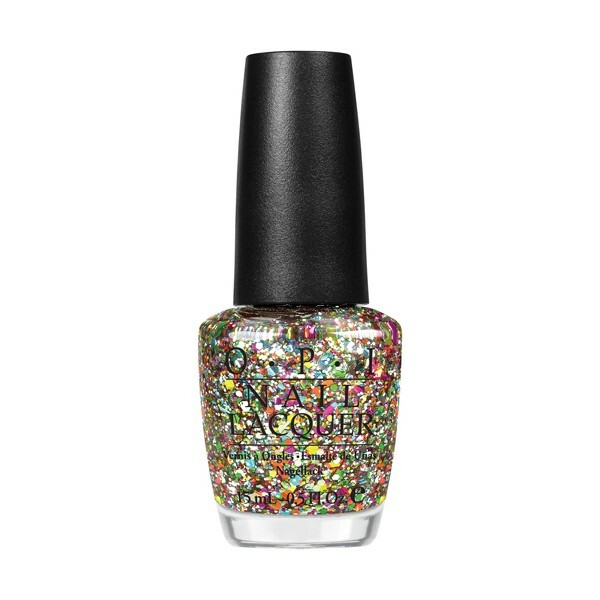 It truly looks like confetti glitter in nail polish form. I love it!